Eight returning riders and eight newcomers will make up the 2017 roster of the Axeon Hagens Berman Cycling Team, the world’s leading Under 23 development squad. Headlining the returnees are a host of Americans: Tour de Bretagne winner Adrien Costa, Under 23 national road and time trial champion Geoffrey Curran, Under 23 Liège-Bastogne-Liège winner Logan Owen and Amgen Tour of California “best young rider” and Tour de l’Avenir stage winner Neilson Powless. Irish Under 23 national time trial champion Eddie Dunbar is also back, along with Americans Will Barta, Jonny Brown and Chad Young. New to the team are Americans Edward Anderson, Christopher Blevins and Ian Garrison, Chris Lawless of Great Britain, Under 23 national time trial champion Jhonnatan Narvaez of Ecuador, Portugese twin brothers Ivo Oliveria and Rui Oliveria and Michael Rice of Australia. Anderson of Richmond, Virginia, competed in road racing and mountain biking this past season while Blevins was the winner of the Course de la Paix Juniors (Peace Race), a five-day Nations Cup stage race in the Czech Republic. The Durango, Colorado, resident also raced mountain bikes this season and finished just off the podium, in fourth, at the UCI Mountain Bike World Championships in July. In addition to being the reigning Under 23 national time trial champion, Narvaez is a three-time silver medalist (2014-2016) for Ecuador in the Pan American junior road race and won the “king of the mountains” title at the Tour de Savoie Mont Blanc in June. This year, the American continental team won a team-record 34 races and seven national titles. Three riders – U.S. national road champion Greg Daniel, Portugese Under 23 national road champion Ruben Guerreiro and British Under 23 national road champion Tao Geoghegan Hart – signed with WorldTour teams. That brings to 21 the number who have advanced to that level under Merckx’s tutelage. Joining Merckx as sport directors will be American Jeff Louder and Dutchman Koos Moerenhout. Louder is a former 15-year professional who returns for his third season with the team. Moerenhout was the Dutch national road champion in 2007 and 2009 who was a teammate of Merckx from 2001 to 2006 on the Domo-Farm Frites, Lotto-Domo, Davitamon-Lotto and Phonak teams. 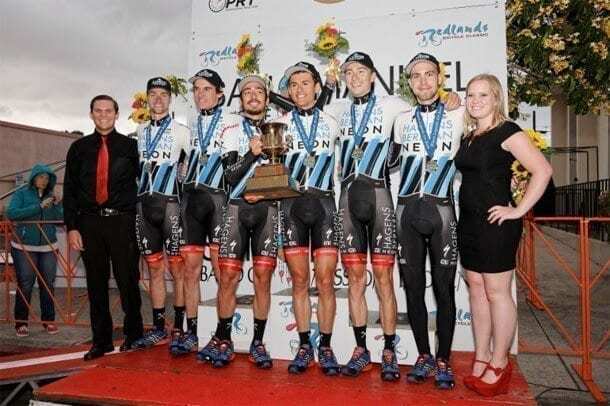 Axeon Hagens Berman will conduct its pre-season training camp Jan. 8-18 in Calabasas, California.